Having to set up bail for a family member or loved one is never an experience that is looked forward to; no matter how streamlined the process is made by your bail bondsman in Wake County. That being said, our expert team of agents always strives to be as efficient, friendly and conscientious of your time as possible. We understand that, with posting bail, time is of the essence and we have trimmed down our process in order to meet your urgent needs. As the local bail bonds in Wake County, North Carolina, our entire focus is always and consistently aimed at easing the frustrations related to being incarcerated. Learn the basics of the bail process in North Carolina so that you or the people you care about won’t go through it scared and blind. Read about the bail bonds process in Wake County, NC. Bail is the payment the court requires from civil or criminal defendants who want to stay out of prison pending their trial. A licensed professional who posts bail on behalf of a defendant. What are the duties of a bail bond agent? 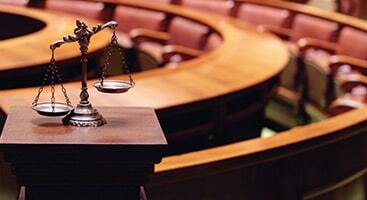 A bail bondsman or bail bonds agent ensures that a defendant appears in court whenever required. He or she is also entitled to retrieve defendants who run away and surrender them to the court for incarceration. 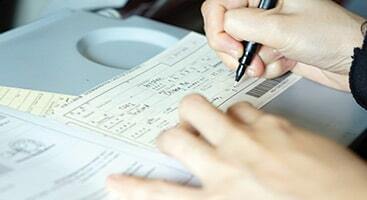 A bail bond is an insurance that you will appear in court whenever required. It is the full sum of your bail, which we will pay on your behalf so you or someone you know can get out of jail. We will ask for a premium of 15% of the bail as upfront payment. When your case is over and we receive the bail refund from the court, we will release any collateral. What if I still can’t afford the 15%? Raleigh Bail Bonds, LLC offers payment plans customized for your needs. Do I need to post bail? Paying bail is a must if you want to stay out of prison before and during your trial. Do I lose my collateral? We will only claim your collateral if the court forfeits your bail. This will happen if you miss a court hearing or attempt to leave the state. The full address of the jail in which they are being held. Full name and date of birth of the person seeking to be bailed out. The full amount of bail required; (which our agents can obtain if you are unable). A form of payment and sometimes collateral. Bail bonds are simply another form of personal loans, payment plans are set up with a Wake County bail bonds and the bail amount will be paid on your behalf. Our charge is generally 15% of the bond, though it may be lower where higher bail is required. At Raleigh Bail Bonds, we never charge interest on our payment plans. The initial evidence that exists against the defendant. The defendant’s ties to the community; i.e. length of residency, employment history, family history and mental condition. The defendant’s past legal record including previous arrests, convictions and failures to appear. The level of perceived danger to society. The possibility that the suspect’s financial income is linked to criminal activity. The probability that the defendant may intimidate or endanger his victim(s). In drug cases, the street value of the drugs involved. Why Trust Our Bail Bondsmen in Wake County? Posting bail with the help of our bail bondsmen in Wake County can give you plenty of advantages. To begin with, we work fast so you or someone you know and care about can be released from prison as quickly as possible. We are also a large bail bond specialist; you can count on us to settle a significant bail amount. Even if you can afford to post bail, we recommend turning to a bail bonds specialist because it throws off suspicion of your finances. Also, you get to protect your non-liquidated assets. All you have to do is pay a premium of 15% of the bail amount and attend every court hearing. Spending time in prison could take a mental and emotional toll on a person. Although posting bail doesn’t acquit you from your alleged crime, it gives you freedom and time to consult a defense lawyer and strengthen your case. Whether it’s you or someone you care for who needs help posting bail, Raleigh Bail Bonds, LLC will be there. Our bail bond agents live minutes away from the local detention centers of Wake County and Raleigh. We can get to your side as quickly as possible, and post your bail within the day. Bail is similar to a loan; a bail agent pays the entire bail amount on behalf of a family member or a friend and in exchange, a percentage is paid to the Wake county bondsman – a form of collateral is sometimes required. A 15 percent premium of the bond is often paid for the services, but lower rates may be available for high bonds. Raleigh Bail Bonds never charges any interest for payment plans offered, to include plans as low as 2% down on bonds over $10,000. Call us now to find out all details to qualify. One of the most unpleasant experience one can deal with, is that of being arrested and charged with a crime. The confusion of what to do next, coupled with the questions of how long one will be held in a cell, exacerbate the anxiety attached to the process. Luckily, in this country, accused parties have the right and opportunity to post bail. But one question usually remains until the judges gavel comes down after that first proceeding: What will bail be set at? Our licensed Bail Bondsman understand that every situation is different. For us, this means we never treat two cases alike. We don’t provide you with scripted answers. Rather, we offer free personalized consultations, and we help you find the legal information you need, as fast as possible. Don’t wait. Contact your local bail bondsman in Wake County NC at 919-324-2960 for the assistance you need now.